Functional, cell-based assays are essential to identify modulators of GPCRs, including those that signal via increases or decreases in cAMP. 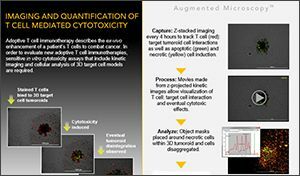 Previously, we demonstrated the automation of the GloSensorTM cAMP Assay from Promega, which utilizes a live cell biosensor consisting of a fusion of a cAMP binding domain to a circularly permuted form of firefly luciferase. Upon binding to cAMP, conformational changes in the expressed sensor lead to increases in light output in the presence of substrate. 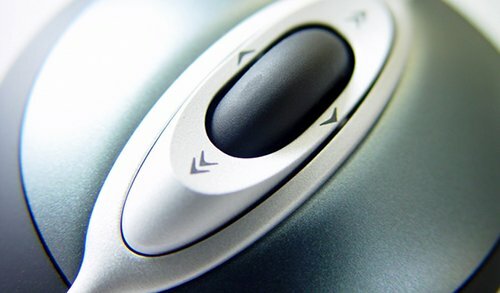 Several variants of the biosensor exist with different affinities for cAMP, some offering increased sensitivity and others offering increased dynamic range. The sensor with the broadest dynamic range, 22F, has the lowest affinity for cAMP, where the basal signal for this construct can be difficult to detect under select conditions. 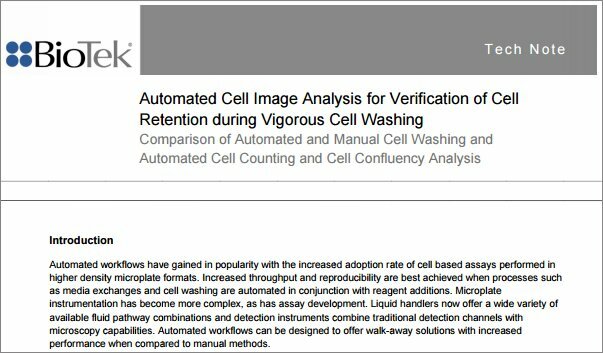 Here we compare the performance of the highest and lowest affinity variants using automated methods and the highly-sensitive bottom reading capabilities of an HTS microplate reader. 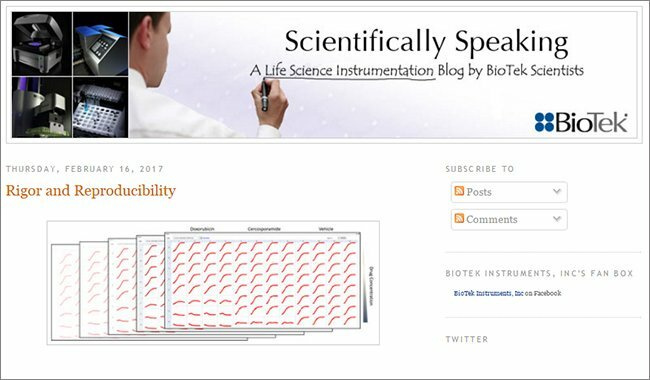 Sensitive detection of the 22F basal signal allows for use of this variant under a broad range of conditions, providing an assay with both superior dynamic range and sensitivity. GPCRs primarily function as sensors of the extracellular environment, and communicate environmental changes to intracellular machinery1. The transmembrane nature of GPCRs ensures that signaling compounds and other stimuli can propagate a response without physically breaching the cellular membrane (Figure 1). Considerable effort remains focused on measuring the functional responses of the receptors to various compounds and determining the pharmacology of agonists and antagonists. The obvious advantage of performing these types of studies in an in-vitro, live cell assay over lytic, end point assays has led to recent advances in cell-based GPCR assays. Figure 1. GCPR signaling. Upon stimulation, GS-coupled receptors activate adenylate cyclase (AC) with concomitant increase in intracellular cAMP levels. Luminescent reporter genes have been shown to provide increased sensitivity with a wide dynamic range and have been adapted to a high density microplate format using high-throughput automated methods. Several variants of a biosensor protein, expressed from genetically modified forms of luciferase, are capable of modulation of their luminescence activity dependent on reversible allosteric interaction with ligand allowing live cell, real-time monitoring of cAMP kinetics (Figure 2)2. Here we compare the automation of two GloSensor™ variants, having a high and low affinity for cAMP, using a high density, clear bottom microplate allowing for the ability to multiplex the assay. 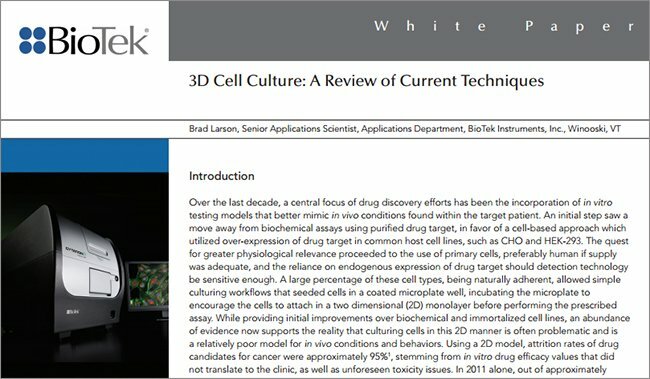 The use of clear bottom plates in conjunction with bottom reading can take advantage of both an increase in sensitivity due to proximity when using adherent cell lines as well as allowing simultaneous investigation using imaging methods. Assay performance as well as the pharmacology of several compounds is investigated allowing comparisons to be drawn between the two variants. Figure 2. A bioluminescent sensor detects molecular processes in live cells through reversible allosteric modulation of luminescence activity during ligand binding. Binding of ligand, in this case, cAMP, results in a closed conformation of the biomolecule, resulting in increased luciferase activity. GloSensor cAMP HEK293 cells (Catalog No. E1261) previously transfected with the -20F cAMP plasmid (Catalog No. E1171), cAMP HEK293 cells previously transfected with the -22F cAMP plasmid (Catalog No. E2301), and GloSensor cAMP Reagent (Catalog No. E1291) were generously donated by Promega Corporation (Madison, WI). Dulbecco’s Modified Eagle’s Media (DMEM, Catalog No. 12491), 10% fetal bovine serum (FBS, Catalog No. 10437) hygromycin B (Catalog No. 10687) and CO2-independent media (Catalog No. 18045) were procured from Invitrogen Corporation (Carlsbad, CA). Low volume, black, clear-bottom 384-well microplates were purchased from Corning, Inc. (Catalog No. 3542, Tewksbury, MA) The agonists formoterol (Catalog No. 1448), salbutamol (Catalog No. 0634), and isoproterenol (Catalog No. 1747), the adenylyl cyclase activator forskolin (Catalog No. 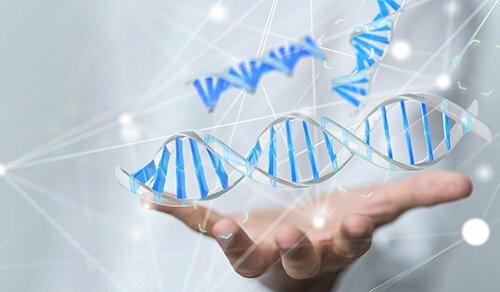 1099), and the antagonist ICI 118,551 were all purchased from Tocris Bioscience (Minneapolis, MN). 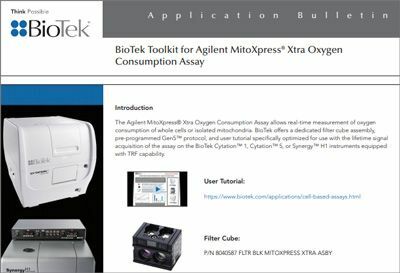 BioTek’s MultiFlo™ Microplate Dispenser (Figure 3) dispenses up to four reagents in parallel using a choice of either peristaltic pump or microprocessor controlled syringe drive technologies. 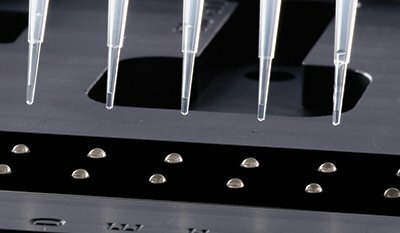 A wide array of plate types are accommodated from 6- to 1536-well formats as well as a broad volume range from 0.5 μL to 3 mL. 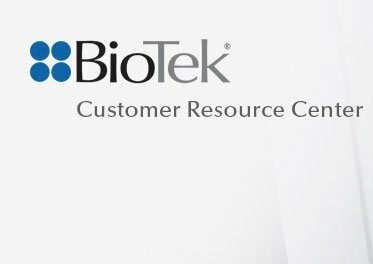 BioTek’s proprietary angled dispensing ensures compatibility with all dispense protocols including media exchanges with loosely adherent cell monolayers. 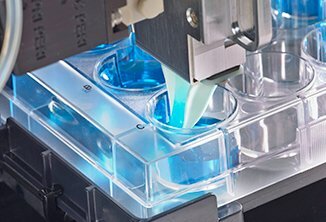 The MultiFlo was used to dispense cells, GloSensor Reagent and compounds to the 384-well assay plates. Figure 3. 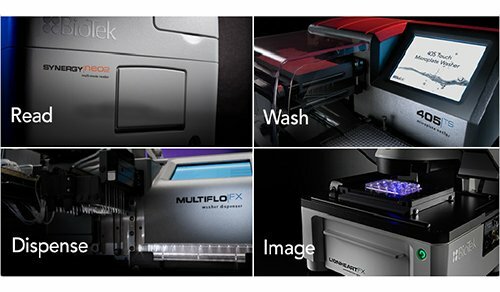 MultiFlo™ Microplate Dispenser. 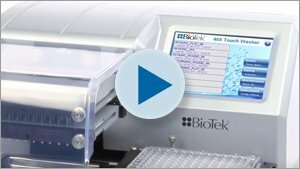 The Precision™ Microplate Pipetting System (Figure 4) from BioTek is an affordable solution for automated 96-/384-well microplate liquid handling, with a unique XY transport design for effortless 96- to 384-well plate transfers with the same pipette mechanism. 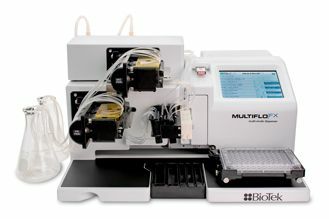 The instrument may be operated in a laminar flow hood, and the user-configurable deck and four liquid handling transfer tools provide flexibility. The Precision was used to transfer compounds from a 96- to a 384-well assay plate. Figure 4. Figure 4. 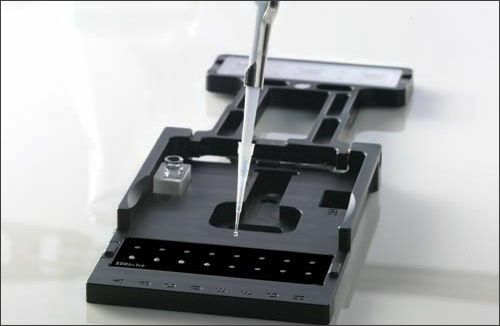 Precision™ Microplate Pipetting System. 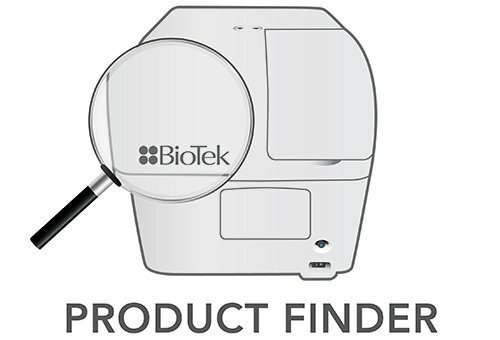 Synergy Neo HTS Multi-Mode Microplate Reader (Figure 5) from BioTek is designed specifically for today’s screening and core laboratories, with all the features of a screening instrument, including multiple parallel detectors for fast measurements, laser-based excitation, fast plate stacker and high sensitivity on low volume assays. 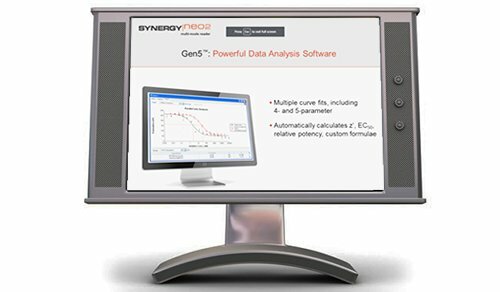 Integrated Gen5™ Data Analysis Software provides intuitive instrument control, powerful data acquisition and analysis, and flexible export functions. Synergy Neo’s dedicated luminescence detection mode was used to measure the luminescent signal from each assay well using the settings detailed in Table 1. Figure 5. 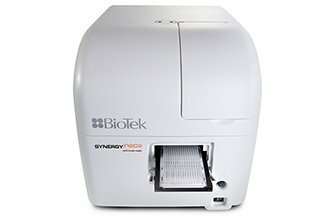 Synergy Neo HTS Multi-Mode Microplate Reader. Table 1. Synergy Neo luminescence mode read parameters. 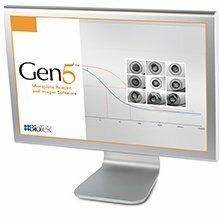 GloSensor cAMP HEK293-20F and -22F cells were grown to ~90% confluency in DMEM media supplemented with 10% FBS and 200 μg/mL hygromycin B as per the manufacturer’s recommendation. 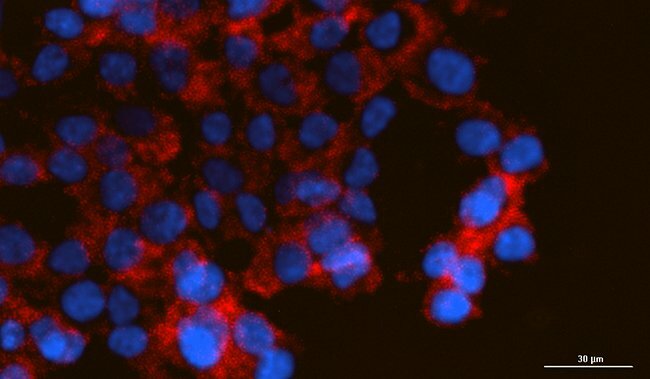 Cells were harvested using standard methods and resuspended to the appropriate cell density in CO2-independent media. 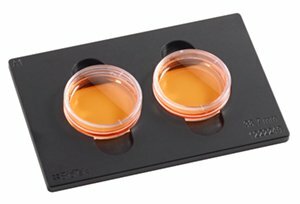 Cells were plated in low-volume, black, clear-bottom microplates and allowed to grow overnight prior to performing assays. Pre-read data was used to normalize well-to-well variation due to plating variability and edge effects. Briefly, postincubation data points were divided by the pre-read values for each well. Replicate data point ratios for each condition were then averaged. Fold response was calculated by dividing the signal from wells containing compound by the signal from wells containing no compound (basal signal). 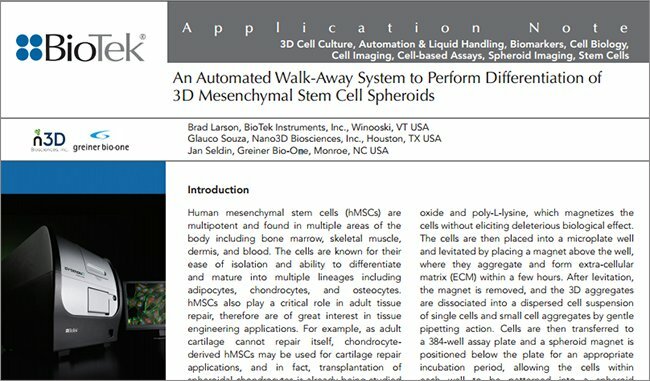 Cells were prepared as described above and plated at a density of 2,000 cells/well in a volume of 10 μL using the MultiFlo™ Microplate Dispenser. Plates were incubated in a humidified incubator overnight at 37 °C supplemented with 5% CO2. Equilibration medium containing 4% v/v GloSensor™ cAMP Reagent, in a volume of 20 μL/well was added using the MultiFlo. 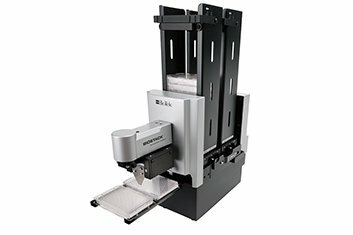 The plate was pre-read on the Synergy Neo HTS Multi-mode reader. 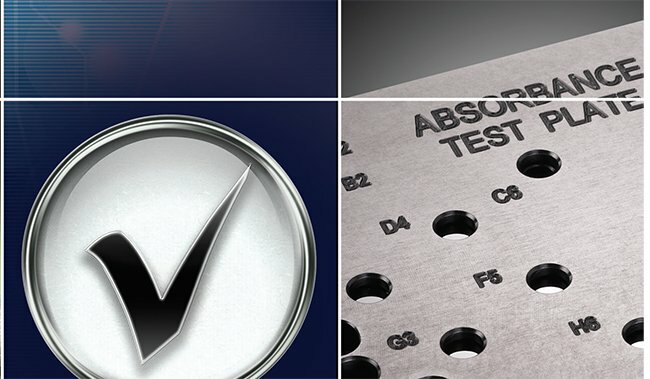 A 7-point serial dilution was performed for each compound including a zero compound point and 10 μL transferred in quadruplicate from the 96-well serial dilution plate to the 384-well assay plate using the Precision™. 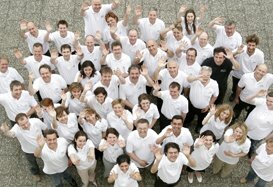 The luminescent signal was read on the Synergy Neo following a 12 minute incubation period. Cells were prepared and plated at a density of 2,000 cells/well as described above. Cells were incubated overnight and GloSensor cAMP Reagent added as described above and the plate was pre-read. 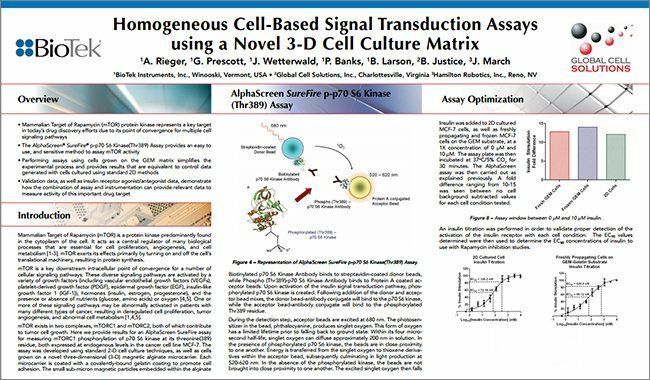 A 7-point serial dilution of the antagonist ICI 118,551 was prepared including a zero compound point and 5 μL was added to the assay plate wells in quadruplicate followed by a 10 minute incubation. The agonist formoterol was added in a volume of 5 μL at the EC80 concentrations of 0.37 or 0.82 nM, respectively, for the -20F or -22F variants. Following a 12 minutes incubation period at room temperature the luminescent signal was read. Agonist dose response curves, including luminescence signal intensity and fold induction, of both cell variants were plotted as shown in Figure 6. Calculated EC50 values for test compounds are shown in Table 2. While the rank order remain consistent there appears to be an ~5-fold right shift in pharmacology seen from the 22F variant. This shift is consistent with differences between the variants in affinity for cAMP as described above. Calculated EC50 values are consistent with previously calculated values3. Figure 6. Luminescence signal intensity and fold-induction of GloSensor™ cAMP HEK293-20F or -22F cell lines when subject to a 7-point titration of the indicated compound: luminescent intensity of a) 20F variant, and b) 22F variant; fold-induction of c) 20F variant, and d) 22F variant. Table 2. Calculated agonist EC50 concentrations as determined from dose response curves. A comparison of the luminescence signal and fold response of the two sensor variants in the presence of 10 μM ICI 118,551 antagonist and corresponding EC80 concentration of the agonist formoterol can be seen in Figure 7. It is evident that the 22F variant shows lower induced luminescence intensity upon agonist addition, as well as suppression of basal activity upon addition of antagonist, resulting in a significant fold induction increase compared to the 20F variant when the assay was performed at room temperature. The dose response curves depicted in Figure 8 indicate that both variants show nearly identical responses to the potent antagonist ICI 118,551 that are consistent with previously published values showing Ki values less than 1 nM4 (Table 3). Figure 7. Comparison of changes in a) luminescence signal and b) fold response of GloSensor™ cAMP HEK293 cell lines when subject to 10 μM ICI 118,551 antagonist and the corresponding EC80 concentration of the agonist formoterol for each variant. Figure 8. GloSensor cAMP HEK293 cell line variant fold responses when subject to varying antagonist ICI 118,551 concentrations. 22F response plotted on the primary y-axis and 20F response on the secondary y-axis. Table 3. Calculated antagonist IC50 concentrations as determined from dose response curves. The use of clear bottom plates allows for the capacity to image wells to facilitate combining the GloSensor cAMP Assay with phenotypic screening (Figure 9). Figure 9. 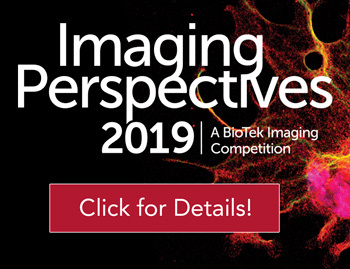 Cell imaging: A.) 5,000 cells/well and B.) 2000 cells/ well. Cells were plated in CO2 independent media in a 384- well, low-volume plate and allowed to attach overnight prior to be assayed. Forty-eight replicates of the -20F and -22F variants were assayed to determine the Z’-factor for the assay. A Z’- factor value takes into account the difference in signal between a positive and negative control, as well as the signal variation amongst replicates, as an indicator of assay robustness. The Z’-factor was calculated to be 0.69 and 0.67, respectively, for the -20F and -22F variants, indicative of robust assay performance. The GloSensor™ cAMP Assay can be performed using simple, inexpensive automated methods. 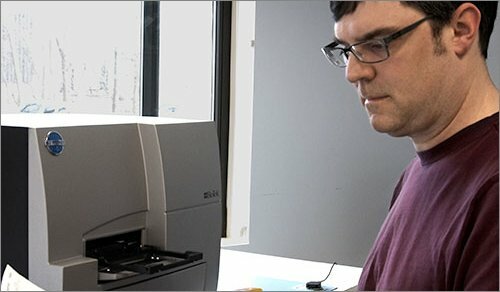 The highly sensitive bottom-reading capabilities of the Synergy™ Neo HTS Multi-Mode Microplate Reader provided the ability to read both the low basal signal for the lowest affinity 22F biosensor variant as well as discriminate changes from the more sensitive, reduced dynamic range 20F variant. A significant increase in signal-to-background was seen in the 22F variant when compared to the 20F variant following activation of an endogenous Gs-coupled receptor in HEK293 cells when assayed at room temperature. 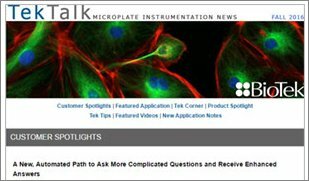 The improved S/B ratio seen when using the 22F variant allowed for the use of a 384-well low-volume, black, clear bottom microplate plate suitable for HTS applications and imaging. 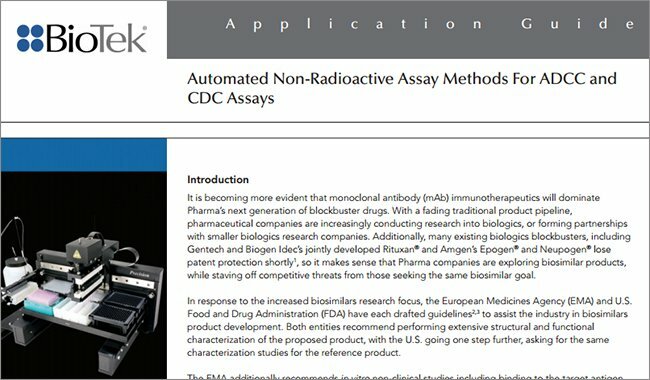 The combination of assay technology and instrumentation provide an ideal solution for highthroughput applications. 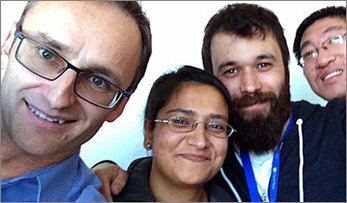 Bockaert, J.; Pin, J.P. Molecular tinkering of G protein-coupled receptors: an evolutionary success. EMBO J. 1999 Apr 1, 18(7):1723-1729. Fan, F.; Binkowski, B.F.; Butler, B.L. ; Stecha, P.F. ; Lewis, M.K. ; Wood, K.V. Novel genetically encoded biosensors using firefly luciferase. ACS Chem. Biol. 2008 Jun 20, 3(6):346-351. Binkowski, B. Promega Corporation, Madison, WI. 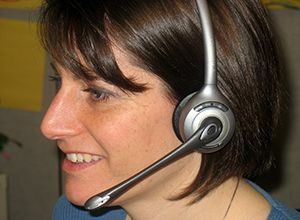 Personal communication, 2010 Sep 20. McConnaughey, M.M. ; Sheets, K.A. ; Davis, J.; Privette, J.; Hickner, R.; Christian, B.; Barakat, H. Differences in beta-adrenergic receptor densities in omental and subcutaneous adipose tissue from obese African American and Caucasian women. Metabolism. 2004 Feb, 53(2):247-251.